Place 2 pizzelle at a time on a paper plate into a microwave on high power for about 30 to 40 seconds or until softened. Remove and quickly roll around a cannoli tube or the handle of a broom (covered with aluminum foil). It will harden quickly into a cylindrical cannoli shape. Place cream cheese, sour cream, heavy cream, sugar cinnamon and vanilla in a medium mixing bowl. Beat until well combined and fluffy with a mixer. Fold in ½ cup of the chocolate chips. 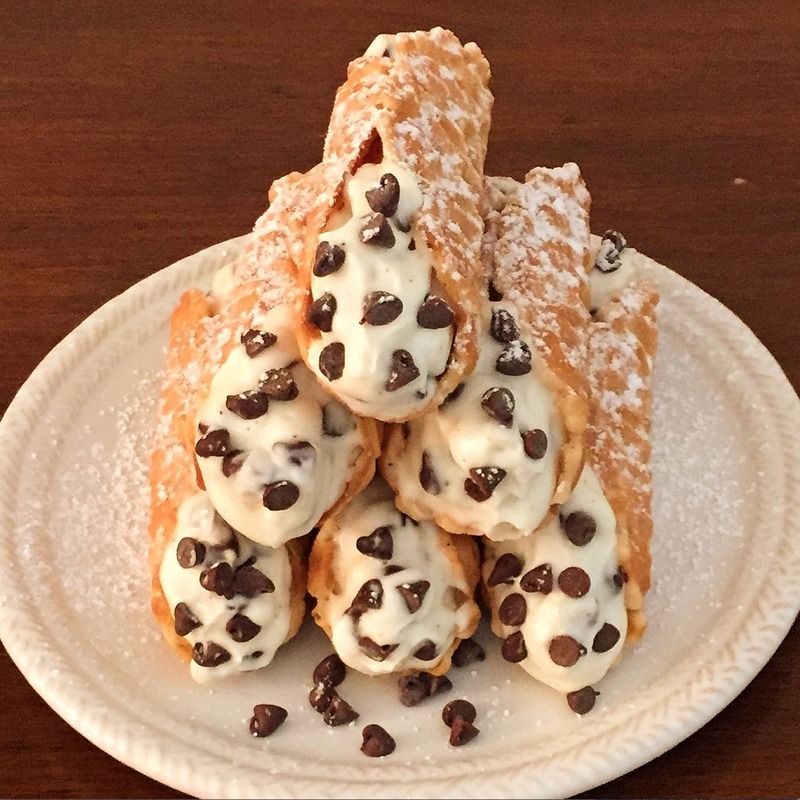 Place the filling into a baggie (snip off the tip) or a pastry bag fitted with a ½ inch tip and pipe the filling into both end of the cannoli. Garnish with extra mini chocolate chips. Serve Immediately.